There is a revolution going on in game consoles. It is a new micro console movement that is driven by the openness of mobile + casual markets/stores and self-publishing that have disrupted handheld gaming. That is now about set to disrupt the living room and game console markets. Apple TV has not yet officially announced apps/games for Apple TV other than AirPlay but that is coming when Apple TV launches the SDK. 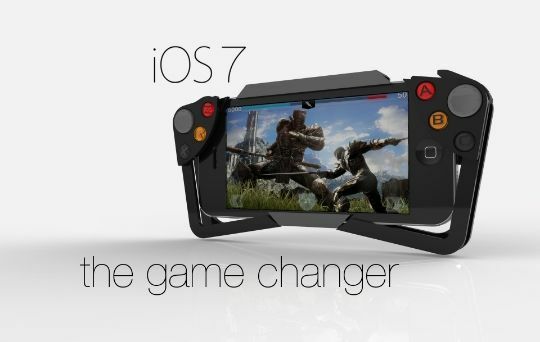 Largely this most likely will be a push type of platform where you have your tablet or phone/pod device to flick or push games and apps onto the big screen. Then your device becomes a remote or gamepad. Apple TV will also be able to download these apps much like iTunes but it will largely be driven by the hardware (tablets and handheld (iPhones/iPods)). Apple also has a gamepad support api in iOS7 for the virtual pad haters and this will create some great gamepads and experiences to play longer in front of the TV or other big screens. Google has recently also gotten into the game after OUYA has now launched, GameStick on the way and because Apple is getting in Google is wise to as well. Both iTunes and Google Play! will be extended by these game consoles/tv apps devices. The people briefed on the matter said Google is reacting in part to expectations that rival Apple will launch a video game console as part of its next Apple TV product release. Self-publishing is a large reason indies/small-medium studios are flourishing and these devices will continue the disruption of the game industry. Mobile, web + open desktop games will spill into the TV in droves. Limiting publisher control by allowing self-publishing will sell lots of hardware and games, bigger economies always sell more hardware and games. Whether it’s making games or distributing them, the focus for Valve going forward is going to be how it can provide the framework for its customers to be entertained, and to make entertainment. Games are goods and services that are part of a large economy. For Newell, the next step is to expand that economy. The new big consoles in Sony PS4, Nintendo WiiU and the XBox One are also launching this year or have launched (WiiU). The smart ones are allowing self-publishing as that will grow their games and fun factor by allowing indies, small and medium sized companies to play again. So far Microsoft is the only company not embracing the open/self-publish model that will sell more hardware and software, strange considering they are about developers, developers, developers and were one of the first to allow indies on the platform (albeit in a flawed way). Both Apple, Microsoft and possibly Google are the only companies that really have the hardware, software (OS) and the ability to publish games to handheld (phones/pods/tablets), desktop OS (OSX + Windows) and now consoles (soon Apple TV and XBox). But only Apple is embracing openness across all, Google will also hopefully not duplicating the Google+ games limited market debacle. Let’s hope Microsoft changes tune again on XBox One and allows self-publishing instead of only approved developers and let the market decide on good games. The best part of all this is game creation and playing is going back to the fun factor times of arcade and early web games where experimentation and fun factor is the main goal. Even John Carmack agrees mobile focuses on ‘pure play’. “I don’t have a lot of free time and I don’t have 50 hours for Skyrim. That’s not to take anything away from the massive titles, but it’s great to have this broad spectrum of gaming,” Carmack added.